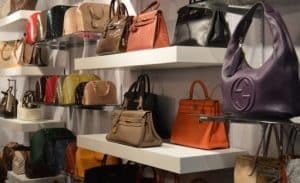 There are a few different methods of acquiring wholesale merchandise from designer brands, but by far the easiest method is by obtaining wholesale merchandise from department stores. In other words, acquiring department stores’ overstock, shelf pulls and closeout merchandise. For the most part, department stores’ closeout merchandise is sold in mixed lots. The stores know that if they provide the option of choosing or preferring only certain brands or styles, either the merchandise from more popular brands would sell first, or the high retail value items, but other items would take longer to move. Therefore, they organize and offer their merchandise in mixed lots, as they want to move all the different types of merchandise they offer, from all the designer brands they feature. Department stores are always trying to introduce new merchandise into their stores, in order to attract returning customers. To make up the space for this new merchandise, they must move the current merchandise out of their stores. This causes department stores to constantly have to liquidate current merchandise. Therefore, on a weekly basis there is a steady supply of hundreds of thousands of items being liquidated by department stores. Low wholesale prices (even for high retail value items). 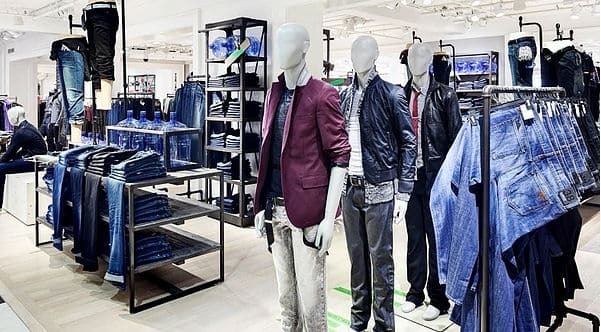 The best part of department stores needing to move merchandise is that because they already made their profit on the merchandise they sold at their stores, they make their closeout merchandise available at below their original wholesale cost, as their main goal is simply making space for newer merchandise coming in. To make the purchasing process of department stores’ mixed closeout lots easier for customers, DNC Wholesale offers these assorted lots at a low flat price per item, independently of the brands, styles or sizes of the items included. This is beneficial to resellers, because these assorted department store lots contain high end items with extremely high retail prices, eventually providing resellers with great profit margins when selling this wholesale merchandise. In average, for most lots, the original retail value is 3 to 5 times more than the wholesale price these lots are available for. In other words, resellers have the opportunity of selling new designer merchandise at discounted prices to their own customers, and still attain a good profit. Department stores are still the “go to” place for brands to release their special and limited collections. Brands like Ralph Lauren for example, create special collections for the Olympics, and other sport events, which sometimes are exclusively featured and sold at department stores. Department stores are the main showroom for the latest styles and limited collections released by the brands. With that said, like any other type of merchandise, when department stores decide to introduce newer merchandise, items from these limited collections are eventually also removed from their stores, and included in their closeout offers. High end department stores and the brands they feature, have an image and reputation they need to maintain. Therefore, they have strict quality procedures in place, in order to make sure only items with the highest quality are introduced and offered at their stores. This ensures that their merchandise is always top quality, independently of the item’s brand or style. PrevPreviousHow DNC Wholesale is different from other merchandise wholesalers and liquidators.